Physical, fast and disciplined – that is the coaching philosophy for new Langley Junior Thunder head coach Dane Dobbie. Dobbie was named the new bench boss of the BC Junior A Lacrosse League squad this week and it will be the first head coaching job for the 32-year-old after a handful of assistant jobs at the Midget, Intermediate and Junior levels. “We are extremely happy for the entire organization but especially our young players. They have an opportunity to learn this great game from a very passionate and creative lacrosse leader,” said Rob Buchan, Langley’s general manager. “I am excited to bring my knowledge and hopefully get my team here to a Minto Cup. That’s our No. 1 goal,” Dobbie said. 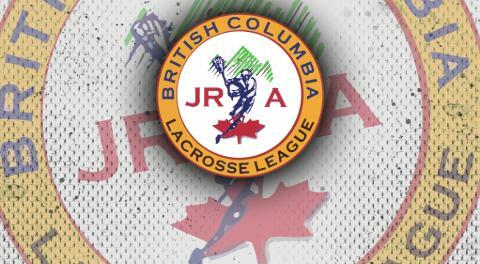 The Minto Cup – Canada’s Junior A National Championship – will be played at Langley Events Centre this August with the BC Junior A Lacrosse League sending its top two teams as representatives. And Dobbie is quite familiar with the Minto Cup, having competed at the Championship three times with the Burnaby Junior Lakers (winning in 2005) and making another Minto Cup as an assistant coach with the Coquitlam Junior Adanacs in 2012. Langley is getting a coach with an impressive playing pedigree, one which continues to grow. Now in his 11th season in the National Lacrosse League, Dobbie is the Calgary Roughnecks’ all-time leading scorer with 382 goals and 774 points in 164 career games. The Roughnecks picked the left-handed offensive dynamo fourth overall in the 2007 NLL Entry Draft. Since earning a full-time roster spot in 2009, Dobbie has cracked the 30-goal mark in all but two of 10 NLL seasons (he had 28 in 2012 and 26 in 2016 but only played 13 games in each of those two seasons) and is off to a blistering start in 2019 with 11 goals and 23 points through the first four games. And in the senior A Western Lacrosse Association, Dobbie has an additional 226 goals and 466 points in 105 games with the Coquitlam Adanacs and Langley Thunder. Coaching is something Dobbie has long enjoyed, stretching back to his minor lacrosse days when he was growing up in Elora, Ont. Both the sport and coaching have been long-time staples associated with Dobbie and his family. His late grandfather is a member of the Canadian Lacrosse Hall of Fame and Dobbie’s father Larry also played the game at a high level. Both played key roles in Dane Dobbie’s development and success. Dobbie’s priority after the NLL season will be coaching the Junior A team but fans will also see him playing for the Langley Thunder as well.